You’ve been pumping iron but your diet just isn’t providing you with all of the calories and protein you need. What’s the solution? Protein powder, of course. Whey protein, egg protein, vegetable-based protein, etc. – there are several varieties and flavors of protein powder to help supplement your diet and keep your muscles growing without packing on stubborn belly fat. You might think that protein powder is limited to mixing with water or milk and slamming twice a day by itself. Those are definitely popular and convenient ways to consume protein powder; but, honestly, the options are only limited to your imagination. So if you’re sitting there scratching your head wondering what to mix protein powder with, we’re going to open up that imagination and show you all the great options. 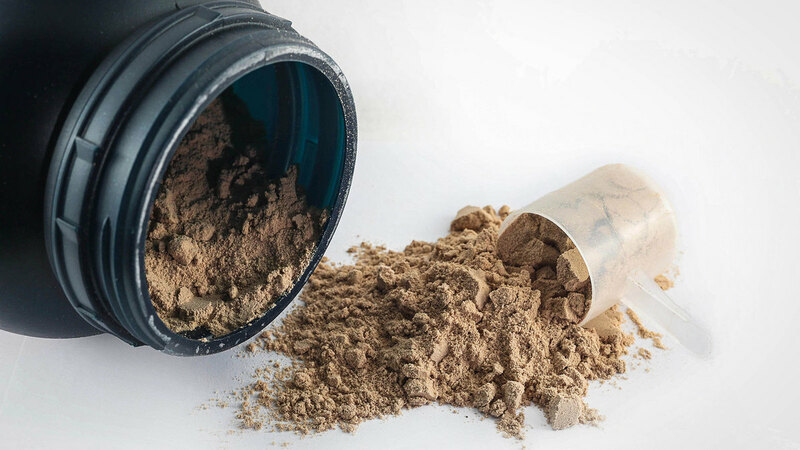 First, let’s talk about why we should even bother with protein powder. Protein Powder, What’s The Deal? So What Do You Mix Protein Powder With? You’ve seen advertisements for protein powder on your favorite fitness sites and in magazines in line at the grocery store, but never has it crossed your mind to purchase. And why would you? You eat plenty of protein through peanut butter and meat…right? If you actually do, then that’s great! But you may not be consuming as much protein as your body needs to feed your muscles. 1 gram of protein per pound of bodyweight is the rule of thumb for protein consumption. For an average male weighing 180lbs, that’s about 3lbs of ground beef, 1.5lbs of chicken or 30 eggs – not so sure anymore, huh? Protein powder is a great way to kick up your protein intake without adding on thousands of calories. Say there’s a new shopping mall coming to town where several abandoned buildings currently reside. Do the contractors just start building the mall? No, they have to destroy the buildings first. This is the same way your body grows after a workout. Many people think that you just work out and grow and each rep stimulates your muscle for growth, but what actually happens is that working out is destroying your muscle fibers. When you use terms like “ripped” or “shredded” to describe some beef castle squatting 500lbs at your local ironworks, know that they literally are ripped due to the insane amount of times their muscle fibers have been ripped and damaged so that the muscle could grow and build upon itself. Now, this muscle is allowed to rebuild itself by recruiting amino acids (the building blocks of proteins) for reparation and growth. The consumption of an adequate amount of protein puts your body in an anabolic state, or a state with a positive nitrogen balance that promotes muscle building. However, if you do not consume an adequate amount of protein, your body goes into a catabolic state. In this catabolic state, your body is breaking down whatever it can into smaller pieces trying to get some energy to fuel its processes. After your workout, if you are in a catabolic state, your body will break down your existing muscle tissue and use it for energy, instead of repairing and building on the destroyed muscle fibers as it would in an anabolic state. 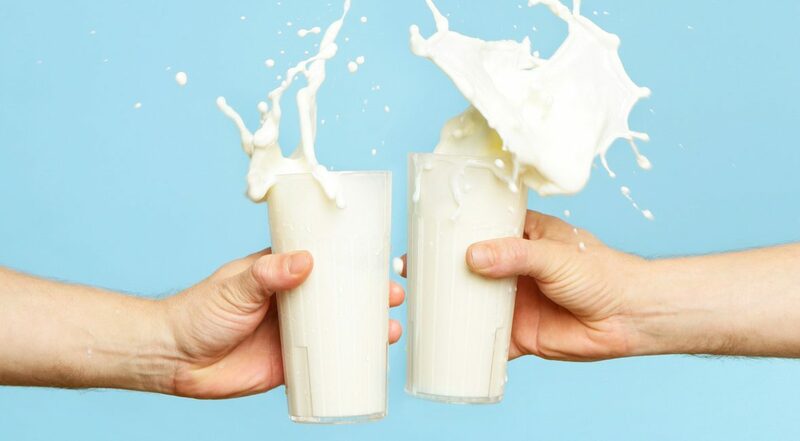 One of the most convenient ways to get protein into your diet, and thus one of the most popular, is to simply mix it up with milk or water in a shaker cup. Now, this method will depend greatly on the taste of your protein powder. 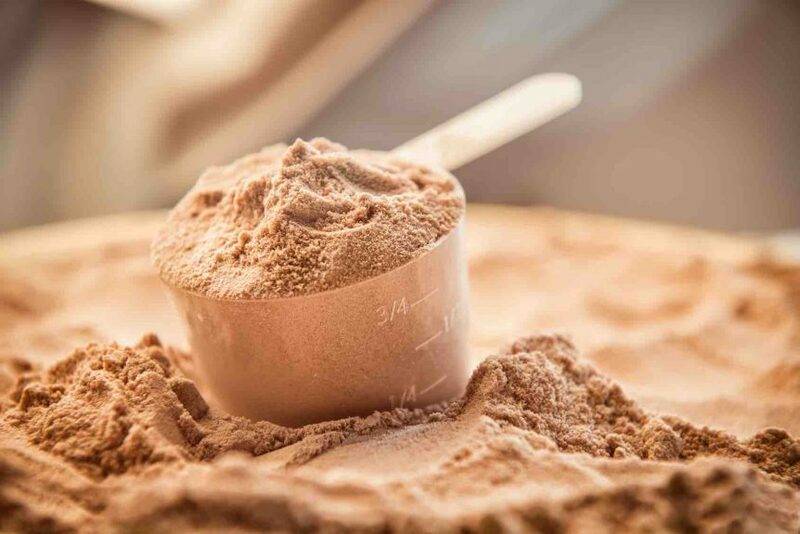 Whey protein powder is generally on the “decent” to “wow, that’s pretty good” area of the protein powder spectrum, but unflavored, egg, soy and other vegetarian powders can lack in taste. If you have tasty protein powder, feel free to mix it with whole, 2%, skim milk or water, depending on your caloric needs. Evaluate what you need nutritionally in relation to your goals and play around to see what combination works for you. You can drink this protein and milk/water mixture, put it in your cereal, flavor your coffee, or pretty much anything else you can do with regular milk. Pro tip: Put your liquid in your shaker bottle before your protein powder, this will make mixing much easier and avoid the sticky mess at the bottom of the bottle. Smoothies are a wonderful case of “I like this and I like this, let’s mix ‘em together”. 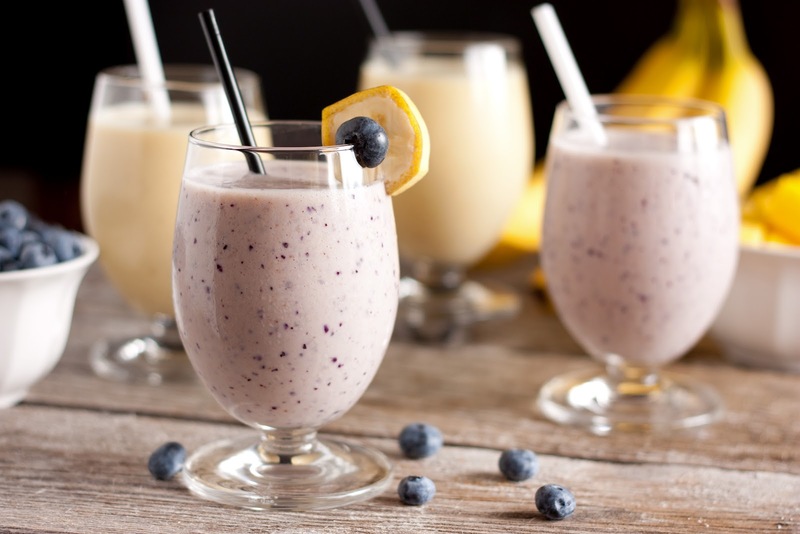 One of the great things about smoothies is that if you put something that doesn’t have a lot of flavor, or if it does have a lot of flavor and you want to enhance it with another, it’s a really easy thing to achieve. Adding different fruits and flavorings to your smoothies (as well as sneaking in some veggies for nutritional content) can keep it fun and interesting so you don’t get bored of drinking the same flavor smoothie every day. Add a scoop or two of protein powder to you smoothies for a delicious protein boost that your taste buds and muscles alike will thank you for. When you go to pick up your supplements, what do you see lining the aisle or area near the register? Protein bars. There are dozens of varieties of off-the-shelf protein bars, but they all have one thing in common – they’re expensive. 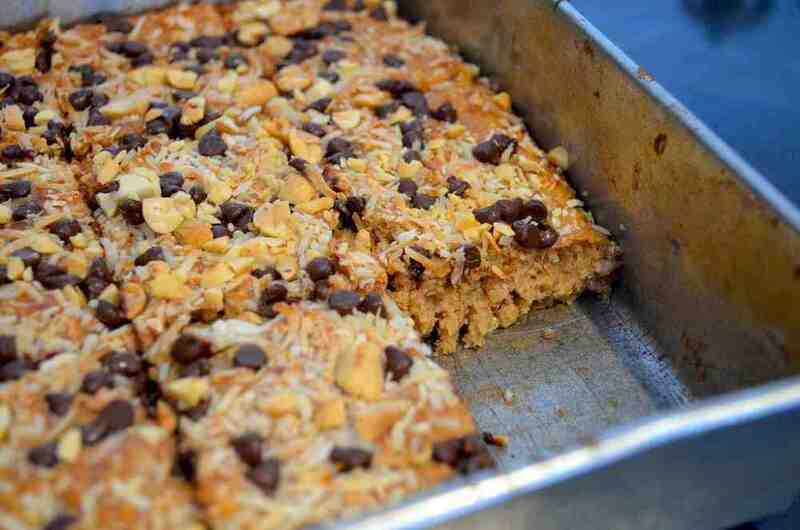 Making your own protein bars is not only cost-effective, but you can customize them to your heart’s content. There are hundreds of protein bar recipes on the web, and generally involve a binder such as chocolate or peanut butter and something with a little bit of crunch (for texture). Take a look around the net and find a recipe that you look, feel free to add your own spin on it! Do you love to bake? Hold on, hear me out. 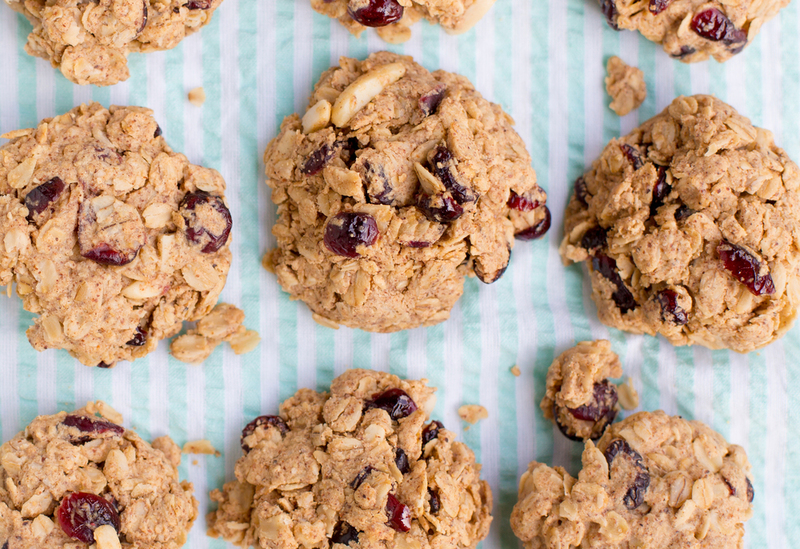 You ABSOLUTELY CAN use protein powder in baking. In any recipe for a baked good that calls for a decent amount of flour (1 cup or more), you can substitute up to 1/3 of that flour with protein powder. Of course, the flavor of the powder will affect the flavor of your baked treats, but if you use either unflavored protein or a flavor of protein that will be cohesive with your recipe, you’ll be good to go. Getting ample protein into your diet is of paramount importance for the dedicated fitness enthusiast, aspiring bodybuilder, or simply the person looking to maintain an active and healthy lifestyle, and protein powder can be a great way to reach your protein requirements. Whether you’re mixing and chugging it straight up, putting it in a smoothie, making a bar or putting it into your next birthday cake (well, maybe not a birthday cake), getting protein powder into your diet is not as difficult as it seems, and the options for doing so aren’t as limited as you may have thought. I need about 100 g per day of protein powder to get my 180 g and that won’t fit into one smoothie without making it taste like crap. I also bet it takes quite a few cookies or brownies to contain that much protein. Mixing it with milk tastes best but makes me bloated, so I’ve got to use water. I tried mixing pure protein isolate with lemonade, but, again, that much powder made it taste like crap. I’m going to try a few more powerfully flavored juices, but I’m not optimistic.